The first batch of houses within Scotland’s largest planned new town will go on sale this weekend (Saturday 31 May 2014). 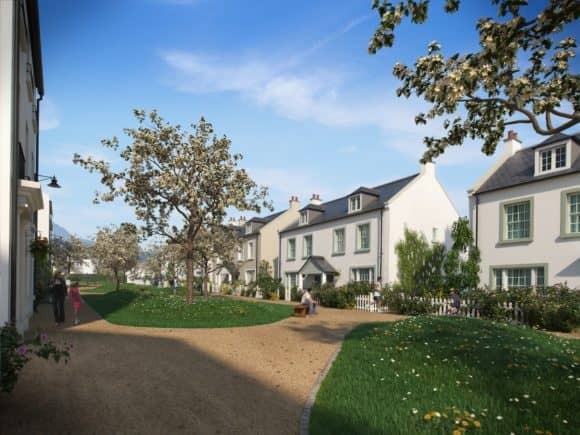 The first 256 properties, 111 of which will be built by Perthshire firm Stephen, will form part of Chapelton, five miles south of Aberdeen, with the brand new on-site sales centre opening at 11am. Stephen will be offering prospective buyers the opportunity to put down a deposit on their first batch of homes in the town, initially a mix of three and four bedroom homes. Ultimately, Stephen will be creating a variety of three, four and five bedroom homes in semi, detached and terraced forms. The opening of the centre will follow a launch event at Union Square, Aberdeen from 10am on Friday 30 May, where a scale model of the first neighbourhood will be on display along with CGI animations. Elsick Development Company (EDC) will be on-hand to help those looking to find out more about the benefits of buying a home in the £2 billion, 8,000-home town.